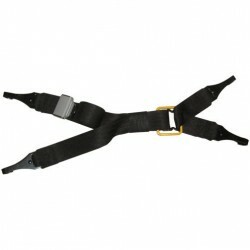 - Use in any rear seating position lap-only seat belt or lap & shoulder belt. 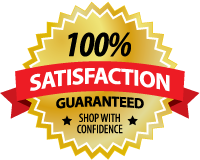 - Portable, Compact and Easy to use. 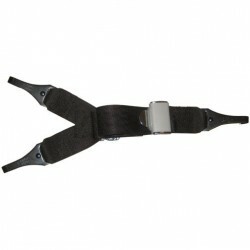 - Reflective trim for low light conditions. 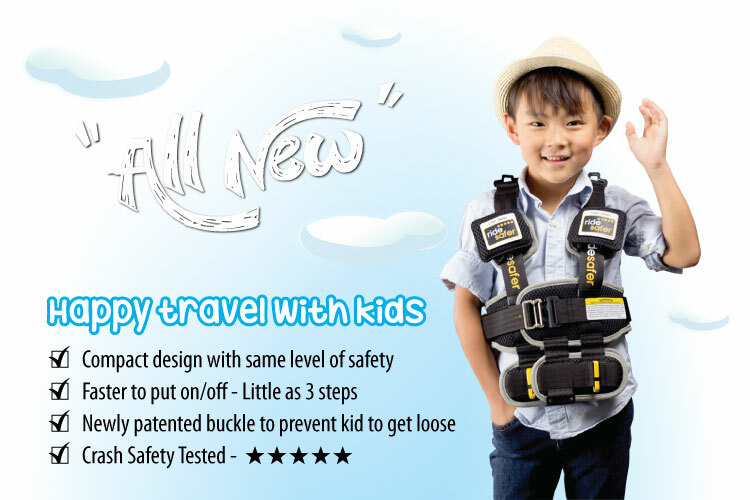 - A child restraint system that older children want to use. 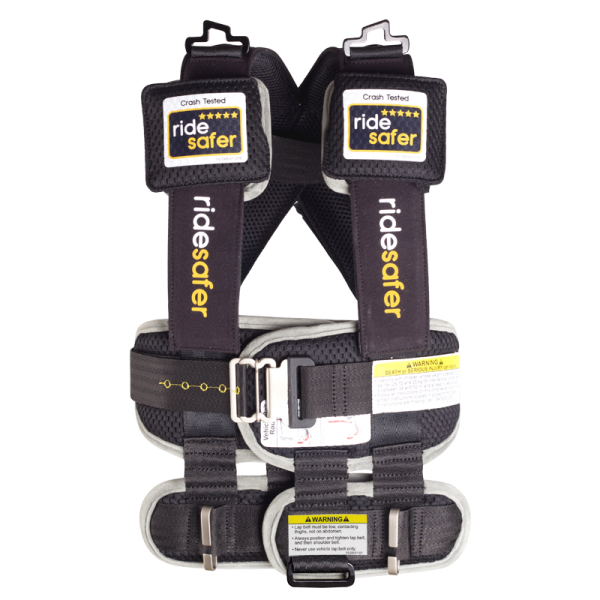 RideSafer Delight With Teher is tested and certified to the dynamic test requirements specified in FMVSS 213. 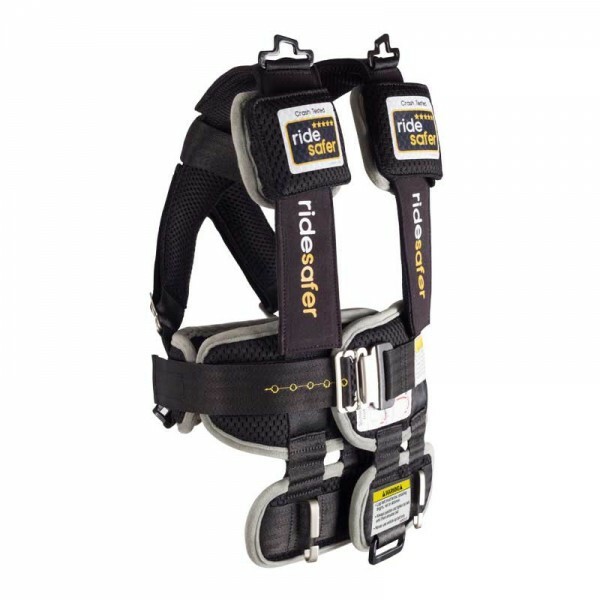 RideSafer Delight With Teher is also designed to and complies with all of the other applicable requirements of FMVSS 213 for a harness including product labeling, webbing requirements and instruction manual. 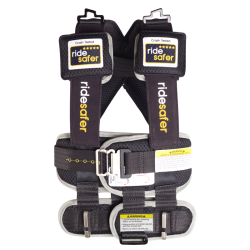 RideSafer Delight With Teher has two different use modes, one use mode as a harness/vest when secured with a lap belt and top tether and a second use mode as a vehicle belt positioner when used with a vehicle lap and shoulder belt. 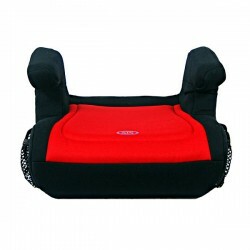 RideSafer Delight With Teher Black Large provided in a small and large size for children 30 to 60 lbs. and 50 to 80 lbs. 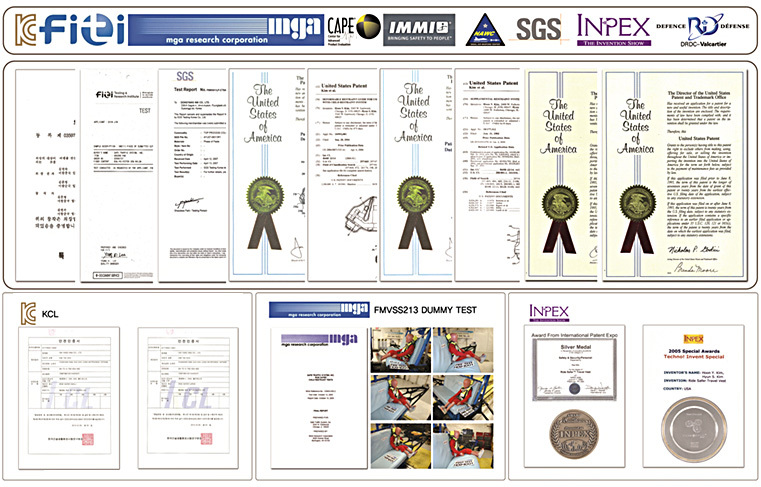 respectively. 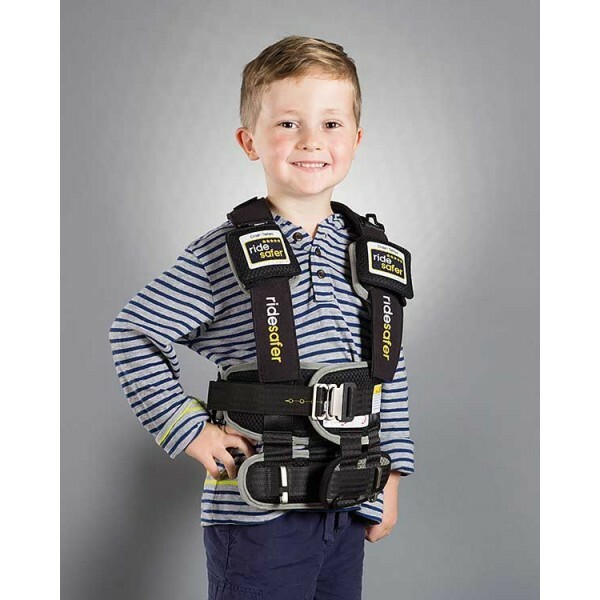 The harness use mode, used with the vehicle lap only belt and top tether, for both size vests is limited to use with children weighing 60 lbs. or less.